I received this product for free for the purpose of review. All opinions are my own. This post may contain affiliate links. Okay all of you subscription box lovers, it’s that time again! Time to show you what came in this month’s Beauty Box Five; and they just keep getting better and better! This month it’s time for some Spring Cleaning and the box is filled with products to help your skin look its best! So keep reading and see why Beauty Box Five is the monthly beauty subscription box for you! Not familiar with Beauty Box 5? Each month, for around $12 a month plus shipping, you will receive a box with at least five travel, deluxe and full-size samples of beauty products from top brands such as Shea Terra Organics, Montagne-Jeunesse, Global Goddess, Blum, Tree Hut, Model Co. and many more delivered right to your home! It’s a great way to try new brands and products without having to pay full price! If you missed my review of February’s Beauty box, you should check it out, but first let’s see what came in March’s box! 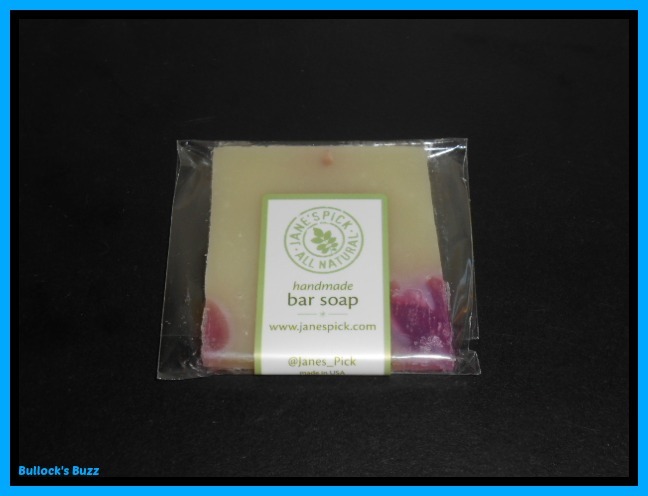 Jane’s Pick All Natural Soap Patience $10.00 4.6 oz. With all of the chemicals found in soaps, you have to wonder how clean you are really getting and exactly what those chemicals are doing to your skin. That’s why I prefer to use soaps that are made using all natural ingredients, and these beautiful soaps by Jane’s Pick are exactly that! The soaps are made using an all natural blend infused with herbs and flowers, and since they are hand crafted each bar has its own unique pattern and wonderful scent. Not only do they get you clean, but they leave your skin feeling soft and smelling great! Each soap bar has its own unique design and is packed with wonderful scents. I received the Patience bar which is blended with pure essential oils such as fir needle, rosewood and black spruce give, and has a light sweet, fresh, earthly warm woods scent. This particular soap is good for those with dry and sensitive facial skin. 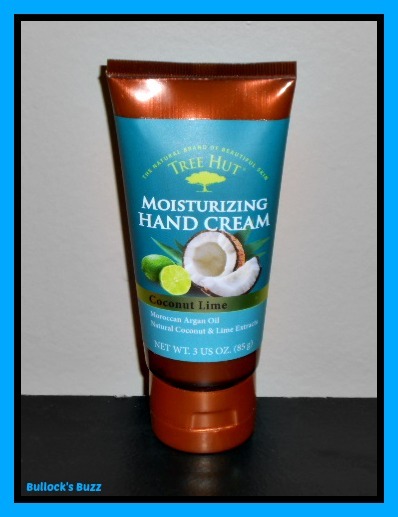 Tree Hut Moisturizing Hand Cream Coconut Lime $5.29 3 oz. Another brand I discovered through Beauty Box Five, I was excited to find a bottle of Tree Hut’s Moisturizing Hand Cream in this months box; and after this harsh Winter, my hands are in need of hydration! Made with organic shea butter, argan oil, and chamomile extract, this lotion is also packed with anti-oxidants, making it ideal for relieving dull, dry skin. Other ingredients include lime extract for polishing and coconut extract for conditioning, and together they combine to make a wonderfully refreshing, unique scent. I love that it is also paraben-free and that Tree Hut’s products are never tested on animals! A small amount is all it takes, and it absorbs quickly leaving my hands soft, not greasy. 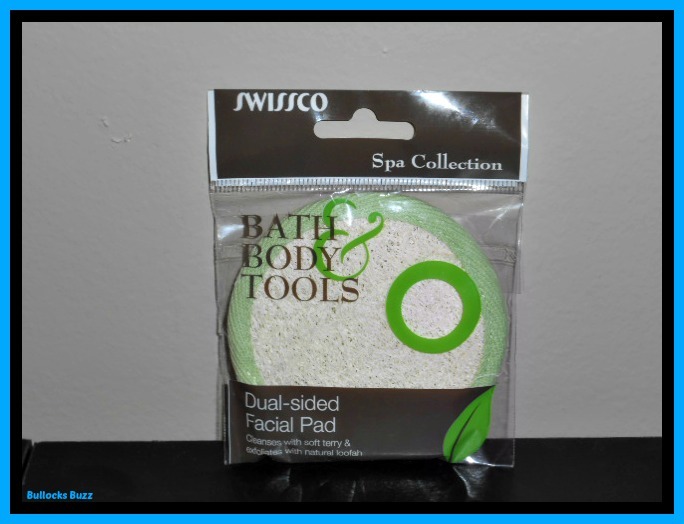 This Swissco Loofah & Terry Facial Pad is perfect for cleaning and revitalizing the skin. It has two sides, one natural loofah for exfoliating and the other soft terry for cleansing. Using a loofah is not only great for getting rid of dead, dull skin, but it is also highly effective in stimulating blood circulation. I love that there is a handy strip of elastic across the back which acts as a handle making it easy to hold, as well as a little loop of fabric to hang it up to dry by. I use it at least twice a week and I love how silky soft my skin has become. No more rough elbows, knees and heels! 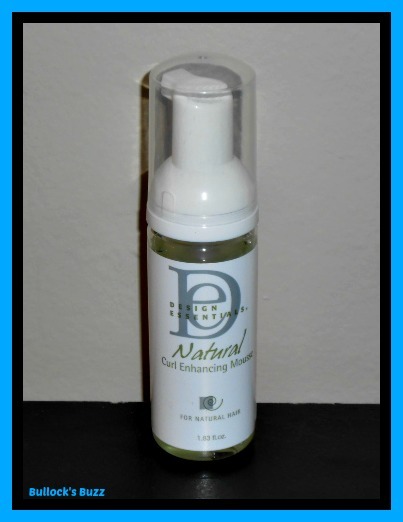 Design Essentials Natural Curl Enhancing Mousse $15.99 for 7.5 oz. Trying to find a styling tool that enhances my naturally curly hair while controlling frizz can be challenge, so I was excited to find this mousse in my box. Made by a brand I am not familiar with, I couldn’t wait to see how well it worked! Design Elements Curl Enhancing Mousse is infused with Infused with Olive Oil and Vitamin B Complex to add moisture and shine while defining curls and providing long-lasting hold. I was pleased to discover that it works great on my hair, and leaves it feeling soft, not crunchy like other mousse do! 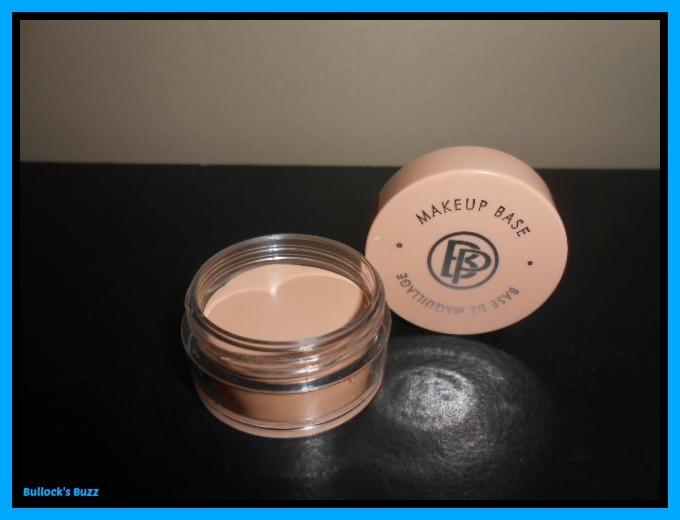 Bellapierre Cosmetics Makeup Base $18.99 0.29 oz. Bellapierre specializes in 100% natural mineral make up. This all-in-one, ivory base works as a concealer, illuminator and eyeshadow primer, and will even transform shimmery powders into matte. It is completely waterproof and comes in a small container that fits easily in my make up bag. Another month, another great box! This one had several items by brands I love, as well as a few from brands I have not yet tried. Had I bought all of these items, I would have spent $84.88 on items I would not have been sure if I liked. Instead, with Beauty Box Five, the cost would be as little as $12 to try these items and see if I like them. Not a bad deal!Like always, I really enjoyed August’s Beauty Box Five! Many products were new to me, and I was able to see how well they work for me without having to go out and spend money on a product I was unsure about. Had you gone out and bought these products, you would have spent $93.48 on products you may not have ever used before, and wanted to try. With Beauty Box Five, you would get to try all these products first for as low as $12 a month! You just can’t beat that!  How Do You Join Beauty Box Five? Easy! Simply visit the site and Sign up for Beauty Box 5! Be sure to check back next month to see what comes in April’s Beauty Box Five! And you can connect with Beauty Box Five on both Facebook and Twitter to keep up with all the latest in beauty tips, new products, promotions and more!